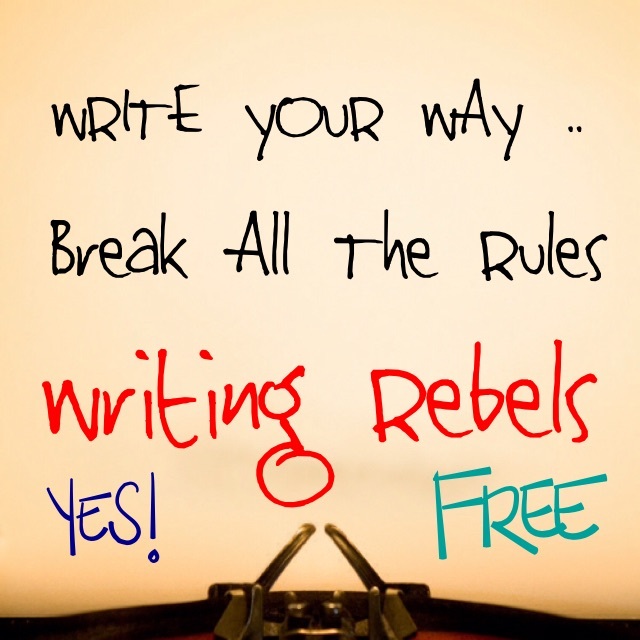 If you are a seasoned Writing Rebel you know the drill. You have until next Sunday to address this prompt or go back to the other two from previous weeks. Click on the Challenge tab to find the other prompts. I have been a Star Trek fan for years and this is my favorite quote from the show. I have had only one boss in my entire career that allowed me autonomy and trusted my judgement in doing something “outside the lines”. Every time I would propose something new to him and he said “Make It So” I knew he was onboard with whatever wild idea I had at the time. One of my favorite things to write with for a prompt is a word list. 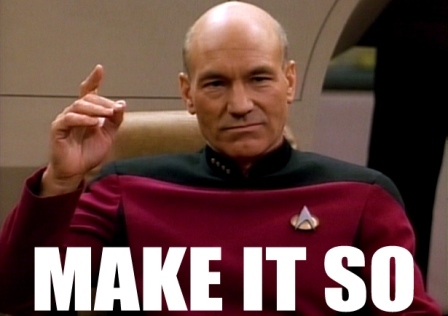 Using the above quote and the following words … you may use one or all of them … write about a time, a thing, an idea, etc that you were allowed to “Make It So”! Remember, you may write in the genre of your choice or a combination … I have been known in challenges to write a piece of flash fiction as well as a poem for the same prompt … this is your challenge with yourself, for you and you make the decisions! The bottom line is to always have fun! Better late than never! I decided to grab the bull by the horns & just do it! That bull was right on target … love this Shelly!!! Thanks so much … great prompt tho! Closet Trekkie … old school ones!!! Robert … OMG … this is absolutely stunning … you have such a gift … keep writing! I finally have time to do more than leave a star! Robert so goooood. I can feel your frustration …. excellent! That’s an entitlement that comes to “elder statesmen & women”, Annie. Say what you think, not what they expect…or they run all over you. You so get my writing!!! Ohhhhh … can’t wait to read!!! BTW … DTLAL is still working on getting you included! Oh Heidi … I love this piece … my mind is spinning and wanting more … can see a possible new book series here! Let them run wild & free! Suz … Wow … this blows me totally away … great use of the word bank!!! Thank you!! You’re such an amazing teacher!! Can only mentor those who already have the words lurking inside just waiting to be freed … the desire must be there or the writing does not happen. Until you… I submerged myself in your radiance, felt the warmth of your light. Thank you!! That’s very kind of you!